John Pilger is an Australian journalist based in London. 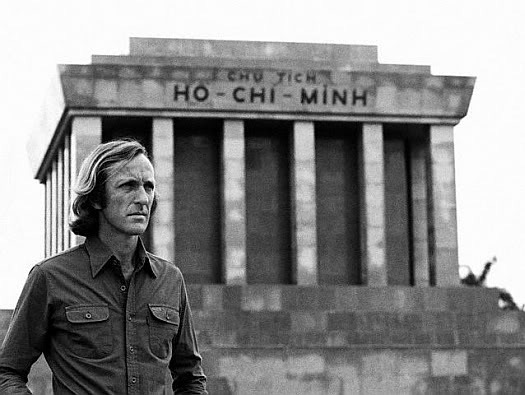 Since his early years as a war correspondent in Vietnam, Pilger has been a strong critic of American, Australian and British foreign policy, which he considers to be driven by an imperialist agenda. Pilger has also criticised his native country’s treatment of indigenous Australians and the practices of the mainstream media. In the British print media, he has had a long association with the Daily Mirror, and writes a fortnightly columnn for the New Statesman magazine. Pilger has twice won Britain’s Journalist of the Year Award, and his documentaries, screened internationally, have gained awards in Britain and worldwide, and the journalist has received several honorary doctorates. The Center only wishes to register a slight disagreement with the reference to Albert Speer, as ‘CNN’ is what one is reminded of by the BBC. Today, we prefer to believe that there is no submissive void. “Choice” is ubiquitous. Phones are “platforms” that launch every half-thought. There is Google from outer space if you need it. Caressed like rosary beads, the precious devices are borne heads-down, relentlessly monitored and prioritised. Their dominant theme is the self. Me. My needs. 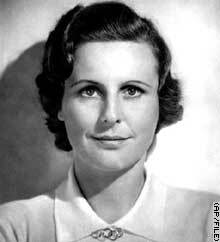 Riefenstahl’s submissive void is today’s digital slavery. 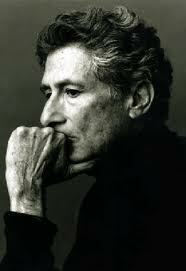 Edward Said described this wired state in ‘Culture and Imperialism’ as taking imperialism where navies could never reach. It is the ultimate means of social control because it is voluntary, addictive and shrouded in illusions of personal freedom. The militarist violence perpetrated against hundreds of thousands of nameless men, women and children by “our” governments is never a crime against humanity. Interviewing Tony Blair 10 years on from his criminal invasion of Iraq, the BBC’s Kirsty Wark gifted him a moment he could only dream of. She allowed Blair to agonise over his “difficult” decision rather than call him to account for the monumental lies and bloodbath he launched. One is reminded of Albert Speer. Hollywood has returned to its cold war role, led by liberals. 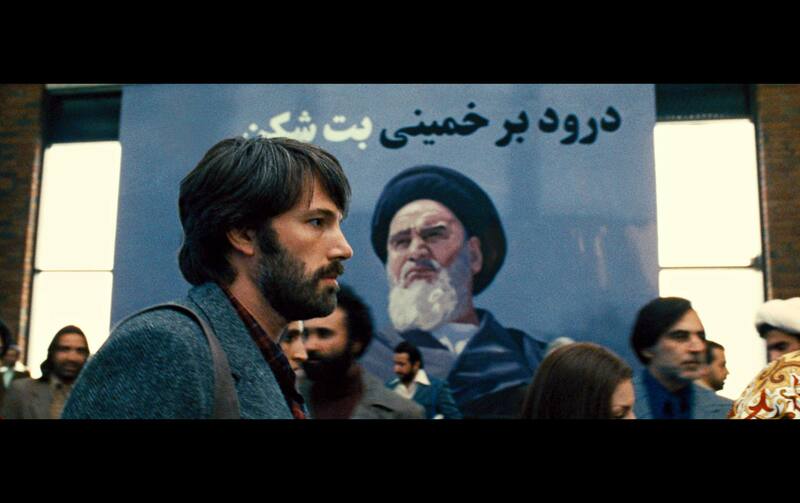 Ben Affleck’s Oscar-winning ‘Argo’ is the first feature film so integrated into the propaganda system that its subliminal warning of Iran’s “threat” is offered as Obama is preparing, yet again, to attack Iran. That Affleck’s “true story” of good-guys-vs-bad-Muslims is as much a fabrication as Obama’s justification for his war plans is lost in PR-managed plaudits. As the independent critic Andrew O’Hehir points out, ‘Argo’ is “a propaganda movie in the truest sense, one that claims to be innocent of all ideology.” That is, it debases the art of film-making to reflect an image of the power it serves. The true story is that, for 34 years, the US foreign policy elite have seethed with revenge for the loss of the shah of Iran, their beloved tyrant, and his CIA-designed state of torture. When Iranian students occupied the US embassy in Tehran in 1979, they found a trove of incriminating documents, which revealed that an Israeli spy network was operating inside the US, stealing top scientific and military secrets. Today, the duplicitous Zionist ally – not Iran – is the one and only nuclear threat in the Middle East. In 1977, Carl Bernstein, famed for his Watergate reporting, disclosed that more than 400 journalists and executives of mostly liberal US media organizations had worked for the CIA in the past 25 years. They included journalists from the New York Times, Time, and the big TV broadcasters. These days, such a formal nefarious workforce is quite unnecessary. In 2010, the New York Times made no secret of its collusion with the White House in censoring the WikiLeaks war logs. The CIA has an “entertainment industry liaison office” that helps producers and directors remake its image from that of a lawless gang that assassinates, overthrows governments and runs drugs. As Obama’s CIA commits multiple murder by drone, Affleck lauds the “clandestine service… that is making sacrifices on behalf of Americans every day… I want to thank them very much.” The 2010 Oscar-winner Kathryn Bigelow’s Zero Dark Thirty, a torture-apology, was all but licensed by the Pentagon. The US market share of cinema box-office takings in Britain often reaches 80 percent, and the small UK share is mainly for US co-productions. Films from Europe and the rest of the world account for a tiny fraction of those we are allowed to see. In my own film-making career, I have never known a time when dissenting voices in the visual arts are so few and silent. This entry was posted in External Publications and tagged American Enterprise Institute, BBC, John Pilger, Leni Riefenstahl, Liberalism. Bookmark the permalink. 1 Response to The new propaganda is liberal. The new slavery is digital. I’m not sure why Said was chosen from the myriad of other people who’ve voiced something so naively simple and non-committal. Because he was photogenic or in CFR…. ?